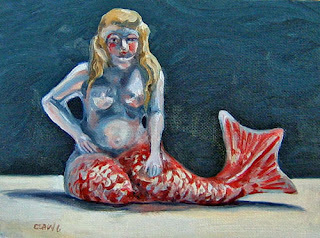 It's good to be back to the mermaids after such a busy week with my yearly studio show/open house. The color and value are a bit off with this photo. I may repost the pic later if I can get a better image.